TechStyle Fashion Group, the parent of JustFab, Fabletics, ShoeDazzle and Fabkids, celebrated the five-year anniversary of Fabletics by announcing the next phase of retail and international expansion, enhanced collections, new additions to the leadership team and an aggressive vision for growth. Co-founded by actress Kate Hudson in 2013, Fabletics is known for its pioneering membership commerce. Today the brand boasts 1.4 million VIP members who are highly engaged brand advocates, with more than 25 percent having joined the VIP program as a referral from a friend. Led by Hudson and co-founders Adam Goldenberg and Don Ressler, in just five years Fabletics surpassed $300 million in annual revenue. 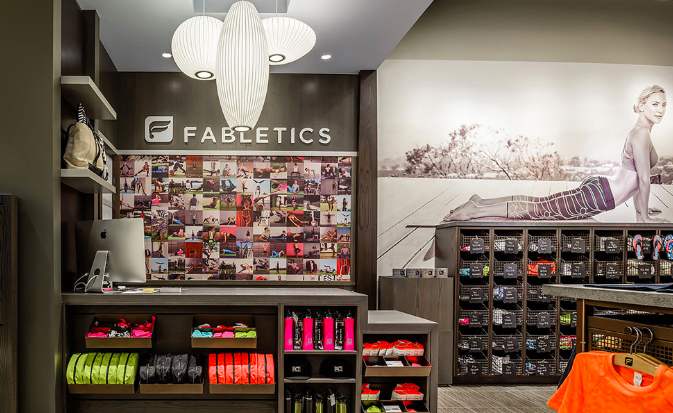 Over the last few years, Fabletics has begun opening stores to bring its membership model into physical stores. The company’s proprietary OmniSuite POS technology enabling members to seamlessly shop and transact across both online and in-store experiences, which has bolstered business performance and enhanced brand loyalty. It also enables members to use all of their membership perks in stores and allows other guests to either sign up to become members or opt to shop standard retail. With proven success across the brand’s current fleet of 24 retail locations across the U.S., which continue to see an over 20 percent increase in same-store sales year-over-year, Fabletics announced plans to add more than 75 new doors, bringing the brand to a total of 100 locations. Fabletics also announced that it will roll out a new store concept this September that will debut at a new store in Bellevue, WA. Now sold in ten countries with European markets experiencing 25 percent year-over-year revenue growth, Fabletics is also focused on aggressive global expansion. This fall will mark Fabletics’ first international distribution partnership that will introduce the brand to the Philippines through free-standing stores, shop-in-shop concepts and an online shopping destination. This premiere partnership agreement kicks off a series of other international partnerships, as well as company-owned expansion plans, that will result in launching new territories throughout 2018 and 2019. To supports its expansion, Fabletics announced new additions to the brand’s leadership team, including industry veteran Karen Pornillos, who has been appointed vice president of design and fashion director, joining Fabletics after serving as VP of women’s design for Lululemon Athletica, before joining Free People to lead design for the brand’s activewear line, Movement. Pornillos rejoins former colleague Felix del Toro, who was appointed senior vice president, chief merchandise and design officer of Fabletics in 2017 following management roles of increasing responsibility at Gap Inc., Ann Inc. and Lululemon Athletica, where he served as senior vice president, general manager of Men’s. Pornillos and del Toro are recently joined by Shefali Shah, the new vice president of merchandising, who comes to Fabletics after over 10 years at Victoria’s Secret. Also announced is the hiring of Nancy Arnold as the brand’s new vice president, creative director. After establishing her career across a mix of emerging disruptors and admired brands such as Chloe + Isabel, Victoria’s Secret and Ann Taylor, Arnold will help shape the Fabletics brand, reporting directly to chief marketing officer Kristen Dykstra. Dykstra, who came on board in late 2016 following senior marketing roles within BCBG Max Azria Group, Kenneth Cole, Ann Taylor and Halston, among others, has been instrumental in growing the brand’s global community and sales. Leveraging the new team’s talent and expertise, Fabletics will soon debut a brand evolution that will result in increased collection frequency, with new capsules dropping as often as once a week, as well as enhanced products across all categories.